This interview first appeared in Volume 1, Issue 10 of The Tel Mora Independent Press. LT: Wow! Open-ended. Okay. I guess the highlights are that I’m a lifelong gamer, enthusiastic game developer, and father of two amazing kids. I love comic books, tabletop roleplaying, philosophy, film, music, and hiking. Other Tuttle trivia: I’m very good at Jenga, I can eat a virtually limitless amount of deviled eggs, and I’ve never been bitten by a rattlesnake. How long have you been involved with The Elder Scrolls and its development? LT: I’ve spent my entire career on The Elder Scrolls. I began as a QA Tester at ZOS in 2010, moved to content development in 2013, and eventually made my way to the writing team a couple years later. As the new Loremaster, how closely did you work with your predecessor Lawrence Schick? LT: I had the good fortune to work with Lawrence a lot. I was a huge fan of White Plume Mountain as a kid, so when I found out he wrote that, I totally geeked out. (We’ve actually had a lot of tabletop giants working here over the years: Zeb Cook, Bill Slavicsek, and Ed Stark to name a few.) I made a point of picking Lawrence’s brain whenever possible. As you know, he’s a very sharp guy, and even in the rare cases when he couldn’t recall some obscure lore tidbit instantaneously, he was able to come up with something solid very quickly. He was always direct with me, which I really valued. Most importantly, he was a great riffing partner. Brainstorming with Lawrence was always a fruitful exercise. I think we came up with a lot of great stuff together. Was The Elder Scrolls something you were interested in prior to joining the Zenimax team? Any anecdotes you’d like to share? LT: I’ve played The Elder Scrolls titles since way back in ’94 with Arena. My family didn’t own a computer at the time, so I used to spend hours in my buddy Ben’s basement playing on his machine. Our character’s name was Raktan—an unruly Wood Elf who routinely got in fights with guards for no good reason. I’ve played all the major titles since—spending an absurd amount of time on Morrowind, Oblivion, and Skyrim. As for trivia, I’ve played a Wood Elf archer in every core TES title except The Elder Scrolls Online, where my main is an Orc Nightblade. Ironically, Wood Elves and Orcs are not my favorite races. I’m a huge fan of Argonians! How involved are you with the TES community at large? LT: I’ve lurked on the TESLore subreddit for years at this point, and routinely poke around on UESP and the Imperial Library. I also try to interact with fans over Twitter as much as possible. I’ve been lucky enough to speak with some of our community luminaries personally, which is very cool. I largely kept to myself during my early years in the industry, but getting onto Twitter and speaking directly with the fans has turned out to be really rewarding. The TES community is one of the most genuinely welcoming and enthusiastic groups I’ve ever been a part of. I’m always amazed by the quality of the fan art, writing, and cosplay generated by our players, and their dedication to The Elder Scrolls and its lore consistently reinforces my own love for the franchise. How much is your work influenced by the community? LT: I think it’s always wise to keep the community’s desires in mind. Having our finger on the pulse of what the fans are passionate about puts us in a much better position to provide them with the content they really want. There are a ton of brilliant content-creators out in the community, writing some fascinating stuff. While we don’t make a practice of including community-generated content in the game, we certainly enjoy some of it, and might provide space in official lore to keep the accuracy of the community member’s work an open question. During the ESO Live broadcast I participated in a while back, I mentioned how cool it is to see people making connections and developing theories based on the lore we generate. Most of the time, I’m taken completely by surprise. That interplay is really refreshing and drives all of us to try to make even more exciting lore. 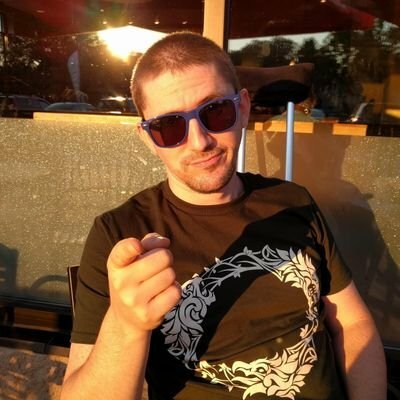 You’ve written most famously for Clockwork City, Murkmire, and were the writing lead on (the currently unreleased as of print date) Elsweyr, what sorts of gaps in the lore have you found that needed filling in those subjects? LT: Well, to begin with, our Lead Writer, Bill Slavicsek, led the writing effort on Elsweyr. As for Clockwork City and Murkmire, the world was really our playground. In both cases, the lore was pretty sparse. That allowed us to really lean into certain themes and create a setting from the ground up. In the case of Clockwork City, the lore was voluminous, but light on specifics. Players never got the opportunity to interact with Sotha Sil, and his emphasis on seclusion made getting the straight dope about him pretty tough. So, that granted us a lot of flexibility when developing his personal world-view. We wanted to make sure we maintained his air of mystery, because once you explain a thing you kind of remove its teeth, you know? But getting to explore what a SI-worshipping society would look like, what it would value, and how its dogmas might conflict with Seht’s personal beliefs was probably the most interesting part. In terms of Murkmire, again, Argonian lore was pretty lean. It felt like most of what we knew about Argonians came from the Morrowind slave narrative. So, I was very invested in the idea that we should tell an authentically Argonian story that had nothing to do with Dark Elves. The biggest theme we wanted to drive home is that Argonians are not primitive–they just live in a fundamentally different way. In America, we have a tendency to view the Argonian lifestyle through a very western lens. Prior to Murkmire, I think most people equated mud huts, fish bones, and snake skins with primitive squalor and instinctually believed that the ancient Xanmeer architecture was superior. We really wanted to flip that assumption on its head and depict a people who live a deliberately simple life that’s superior to western-style modernity in a lot of respects. If you had free reign to write on a single TES subject, entirely uninhibited, what would it be? What influences outside of TES have found their way into your work? LT: Nerd alert! I was a History and Philosophy major in college, so most of my ideas come from that. I spent a lot of time studying existential philosophy (particularly Nietzsche and Kierkegaard) and ancient philosophy (Socrates, Aristotle, the Stoics, and Laozi). As far as History goes, it was a lot of the same stuff: ancient Greece, the Romans, East Asian, and also US history. All of it’s useful in one way or another. I’m a firm believer in the idea that understanding the world we actually live in helps create authentic fictional worlds. In his farewell letter, Lawrence Schick mentioned how “the lore is yours.” Do you have anything you’d like to add or amend to that sentiment? LT: I think it’s spot-on. Even as the Loremaster, my personal interpretations of the lore are not authoritative. It’s our job to provide multiple, conflicting perspectives and encourage people in the community to draw their own conclusions. How you choose to connect those dots (or not connect them) is entirely up to you. All creative enterprises—books, movies, games, etc—should ideally serve as jumping off points for the next great idea. When you lock an idea in amber and insist that it remain exactly the same, and that it conform to your personal preferences, you’re basically strangling it to death. The Elder Scrolls belong to everyone, and as long as we provide inspiration for your creative expression and fan-debates, I’d say we’re doing the job well. What are your thoughts on the fan interaction that Schick participated in in his roleplay interviews, and do you think that’s something you’d like to revive at some point? How would that work if you did? LT: Yeah, I personally loved the Loremaster’s Archive, and I’d be happy to start it up again. We might not provide something exactly like it, but I’m in the process of discussing alternatives with the Community team. What areas of the lore would you consider your knowledge the weakest, if any? LT: I possess perfect, encyclopedic knowledge of every TES topic. I’m a Loremaster, after all! I’m joking, of course. I’m looking at our in-studio book collection right now, and it contains nearly five-thousand entries. The idea that anyone could keep that all in their head is bananas. I think I struggle most with the basic timeline and which minor events preceded other minor events. I was a History major, but I always struggled with dates. Remembering historical lines of succession isn’t super easy. That said, I have a lot of great resources I can refer to to refresh my memory. Keeping all the Dwarven names straight is no picnic, either! Any final thoughts or feelings you’d like to share, anything you’d like to put on the record, any shoutouts you want to make? LT: I just want to say “thank you” to all the fans who welcomed me into the role. Following Lawrence is like going on stage after Hendrix or something, you know? People could have balked and shouted and insisted I would never be able to match Lawrence’s contribution to the franchise, but they didn’t. They were gracious and enthusiastic and I’ll be forever grateful for that. I love The Elder Scrolls, and the fact that I get to be a part of this legacy is a huge honor. I really hope we can keep churning out lore that’s worthy of the community’s passion and dedication. Thanks, and see you in Tamriel!